Dentalworks provides the full range of family dental care services to cover any need. We use the latest techniques and technology to get the best results, every time. 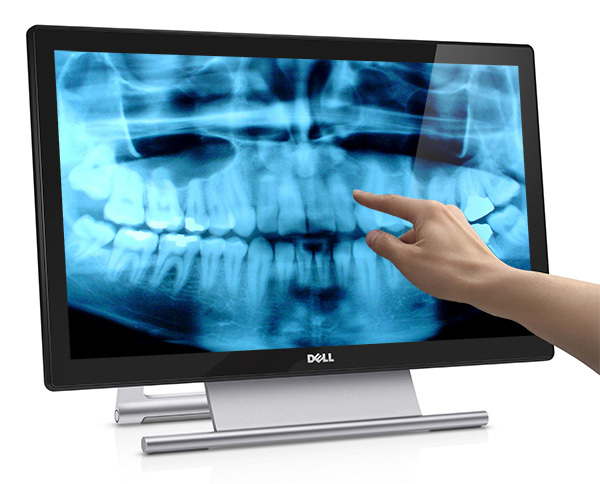 We are a metal-free dental practice using the latest nanotechnology for root canals and cosmetic restorations. Virtually all composites are done under rubber dam using the latest techniques. Dry ice pulp testing is used routinely to ascertain local anaesthetic has worked properly before any preparation of teeth begins. From routine dental checkups to tooth extraction, we have all your dental needs covered. Bring your family to a dentist that you can trust! We place a large emphasis on prevention of dental caries (decay). Our hygienist service is perhaps the most important aspect of dental care and certainly the policy of our practice. Regular visits to the hygienist will help prevent periodontal (gum) disease, bleeding gums and decay (caries). We have Take-Home Tooth Whitening Kits available at an affordable price, or if you prefer we have a dentist supervised option. Cosmetic dentistry can include veneers, crown, bridges and crown lengthening. Placement of nano technology plastic resin into a prepared cavity. The colour or shade can be matched to the tooth, making it almost impossible to see. Dental implants are a permanent tooth replacement for one or more lost teeth. They look & function like natural teeth and provide a stable foundation for crowns, bridges & dentures. Small titanium screws act as an artificial tooth placed in the jaw bone, where a tooth has been lost or need to be removed. An artificial tooth or crown is attached to the implant. Root canal treatment is required to save the tooth when the dental pulp inside the tooth becomes damaged. This may be caused by extensive tooth decay, tooth fracture, infection, trauma or extreme wear. Root canals are accessed & carefully cleaned, enlarged & shaped. Anti-inflammation & anti-bacterial materials are placed in the canals which are then filled. To complete the treatment a restoration or, if required, a crown is placed. We recommend a professional hygienist treatment at least every 6-12 months. The Dental Hygienist works with the dentist to meet the needs of patients and specialises in gum health as well as preventive oral health care. There is growing medical evidence to suggest that periodontal disease impacts negatively on your general health. Gum disease or periodontal disease affects gums and the supporting structure of teeth. Gingivitis is the early stage of periodontal disease where gums become red & swollen & bleed easily. If left untreated over time the tooth will become loose & eventually fall out. Hygienist treatments will remove plaque & calculus from hard to reach areas & prevent progression of disease. If you’re covered by ACC, many of our services and treatments may be claimed. Contact us for more details on what services ACC can provide for. An extraction may be necessary for wisdom teeth or when there is no other option. All patients are required to pay for their treatment on the day. For your convenience we accept Visa, Mastercard, EFTPOS and cash.